The Samsung Galaxy J7’s hardware looks great from the outside, but without the software that you see on the device’s display after turning it on, it wouldn’t be able to do very much. That software that you see when the operating system boots up is also what is known as a “ROM.” The ROM, or stock ROM as most people like to call it, is made by Android. The very foundation of Android is actually Linux, which is another operating system in itself. If you know anything about Linux, then you’ll probably also know that there are lots and lots of different “distros,” which is short for a Linux distribution. All up there are about 50 Linux distros that you can choose from, and all of them are free. The Android operating system doesn’t offer users a choice between distros, or anything else for that matter by way of customization options. The software and choices that you see from the Settings app is what you get, and that’s all there is to it. If you wanted to use different software you’d have to look at installing a custom ROM. A custom ROM is custom software that has been made by third-party developers. It’s still always based on Android because the developers are playing with the Android open source code, but after using the Android foundation, the features can then be changed or just removed. You’ll find some custom ROMs out there that have completely changed the design, have added heaps of new features, have added changes to customize what you see, or just different ROMs that have removed the manufacturer skins and system applications that were put there by the manufacturer and phone carrier networks. The custom recovery images available in this guide are only to be installed on the Samsung Galaxy J7 (2015 Qualcomm Sprint) smartphone. Most devices have a custom recovery image developed specifically for it, and you shouldn’t install one that is intended for another device unless advised it is okay by a professional. 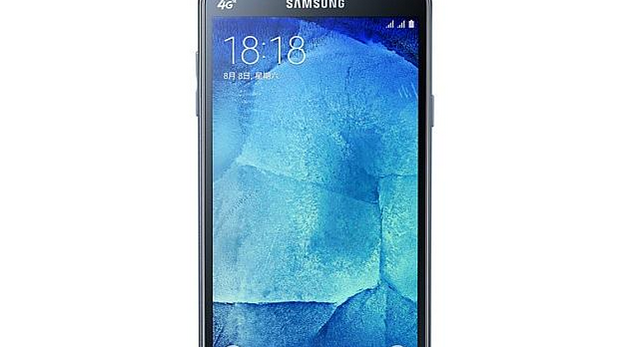 The codename for the Samsung Galaxy J7 (2015 Qualcomm Sprint) TWRP Recovery image is “j7ltespr.” You will see that codename in the TWRP image file path and also from your About Device menu so you know you are flashing the right file on the right device. After you’ve installed the custom recovery image, you should be good to start using it for the duration of your devices life. If ever you get a message that states that there is “no OS installed!” then it probably means that you have, in some way or another, managed to delete the system partition. This is not a good thing, given that making changes to the system partition and then going back to the stock Google Android firmware can cause you to experience unexpected behavior. Nevertheless, it is also not the end of the world. If you’ve taken a backup before, then you should be able to restore it, and when that happens, you’ll have the system partition and operating system as a whole, working on the device again. If you didn’t take a backup yet, then you should still be able to flash a stock ROM on the device, which will then remove the custom recovery image but give you the operating system and system partition back. Flashing the stock ROM in this instance is not the ideal way to go about it, due to the complications that can arise. Official Google Android software updates, whether they be OTA updates or just firmware files flashed manually, are not supported by custom recovery images such as TWRP. When you find over-the-air updates arriving to be installed, usually they are differential updates, which means that they don’t necessarily replace the entire files, and can instead just do patchwork over the top of existing files. This is a good thing for the data-continues user, but it also means that anyone who has modified the system partition with root access, BusyBox or any other way, like removing the system applications that are hiding in the system partition, could experience unexpected behavior after installing a differential update. Installing an official software update usually takes away root access and custom recovery images. Instead of doing that, you should consider installing custom software if you’ve already got a custom recovery image installed on your device. Most custom ROMs are available within a few days of the official updates, so you should have no issues finding a ROM for the Android version that you’re looking to try. If, however, you are certain that you would like to remove the custom recovery image and replace it with a stock recovery again, there are ways for you to do that as well, provided you’ve already read and understood the risks. There isn’t technically a way to delete or uninstall the custom recovery; instead, you need to just flash another one over it. To do that, you can find the stock recovery image file inside as part of the stock ROM zip files after unpacking it. You may then flash the recovery image file using the same method for flashing the custom recovery image. If that’s too complicated, the alternative is just to flash the entire stock ROM file using the appreciate flashing tool for your device, which in the case of anything Samsung, is the Odin flashing tool.